Well, if I’m going to try an ink review I might as well aim high, with one of the most notorious inks available today – Noodler’s Baystate Blue. Am I insane? I actually bought a whole bottle, which some would say is like bringing a Ouija Board into the house. 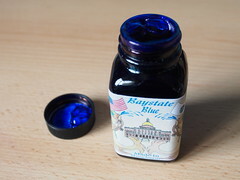 Fear not dear readers, I had already dipped my toe in with a sampler a few weeks ago, and on that occasion my whole home didn’t turn a brilliant shade of blue and all my pen warranties didn’t spontaneously combust. 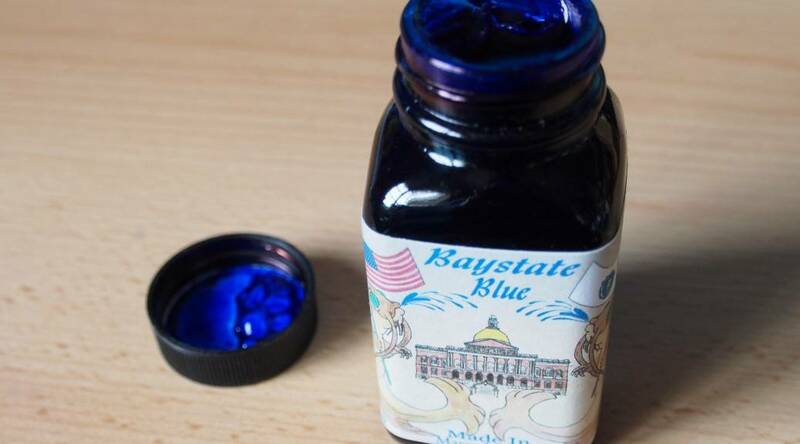 I did take the precaution of buying a Big Bottle of Bleach to complement the Baystate Blue though.